My friends, Misa and I went to Tam Dao last weekend to get some relief from the noise, dirt and the motorbike horns in Hanoi and of course, to release the work stress. Even though the name means "three islands",this place is not surrounded by ocean. This is just a Vietnamese name that we translated to English. This is a lovely mountain town set in lots of small hills, a 20km climb up a windy road. It took us 2.5 hours to get there from Hanoi. Because the roads are being widened, they are very dirty which meant we got covered in dust all over our clothes and bodies. I didn't wear a helmet because it was too hot and my face was covered in dirt by the time we reached Tam Dao. Tthe first time we came here was 4 years ago, everything was so fresh and full of green. Nothing has changed much with their main business still growing Susu vegetable(spinach). Nowadays, there are a few taller hotels, which are quite expensive. 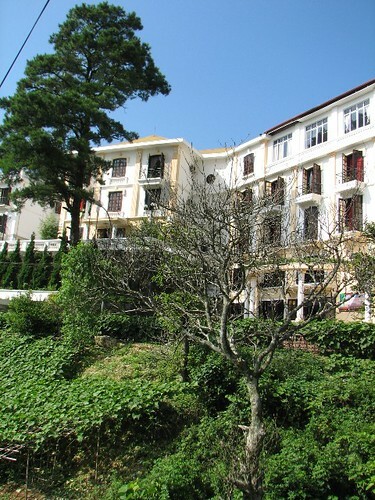 We stayed at the Thanh Binh guest house, the same place as our first trip and it cost the same price 100,000Vnd(Us $7). The rooms are very clean, with hot water and we had a mountain view and the owner brought us hot water for making tea. 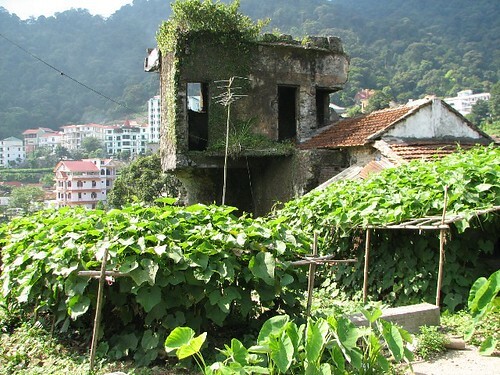 There are so many cute old houses and broken down buildings besides lots of amazingly crazily houses designed without thinking of the landscape around, but this mixture makes Tam Dao special. 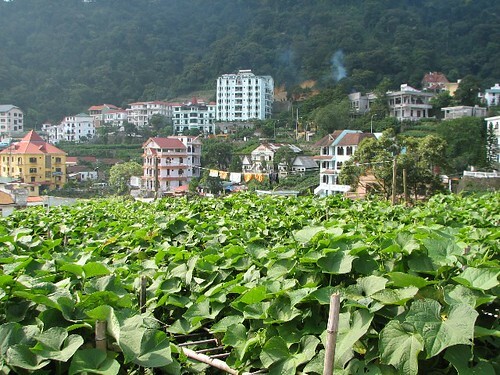 If you look down Tam Dao from the top of the mountain or from your hotel, it's easy to see that this is a green town which grows not only Susu vegetable, but also pumpkin, bamboo and other wild plants. 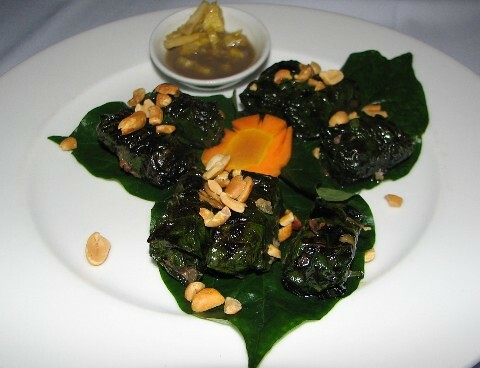 Su su is a great green spinach. Only the top of the plant is eaten as it is young and tender and can be stir fried with garlic or steamed to eat with soya sauce. It's really healthy, and similar looking to the pumpkin leaves and stems. We paid only 10,000Vnd for 1 kg. 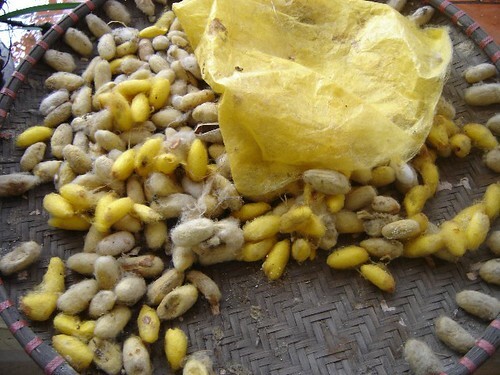 Beside all of the green veggies, the second popular product inTam Dao is wild bees, wild birds and products from wild animals. 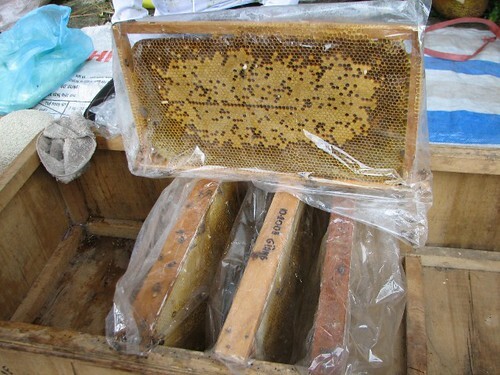 Some special wine and honey can be bought, too. We had such a great time eating wild meat, drinking beer and being wild. We went to several cafes and bars hunting for cold beer and most of the shops didn't serve cold beer. One of the shop owners told me that sunday is the last day of the busy time so that they don't put too much beer in the fridge because they know they won't sell all of it. I told her that here we are and we will drink all of them for her. Anyway, we finished her beer and she had to go to another shop to get more cold beer for us. She had a great day with her drink business and she looked happy. 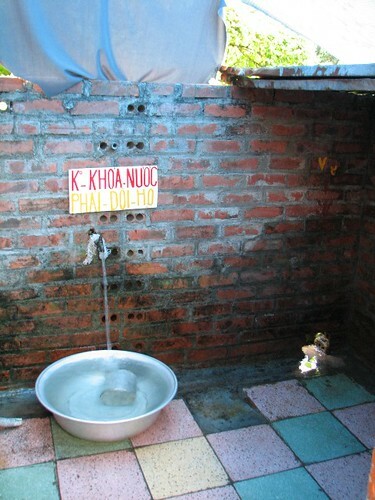 In one coffee shop that we came across, the toilet was really clean and the water is from the stream so we don't need to turn it off but we could only use it for a pee. Hilarious, don't you think? 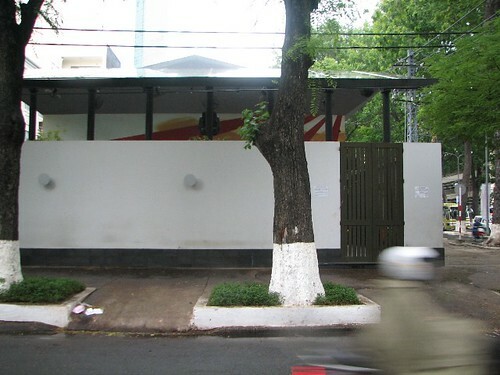 One annoying business in Tam Dao is Karaoke, which is everywhere. People sometimes start singing very early in the morning till late at night. We went to a beautiful old rock building which might have been a church in the past, thinking that it would be a nice bar for a drink. We sat down and realized that there were many boys and girls already waiting for their singing turn. They sang all instant crap music and they also mixed the words up and the rhythm, so we had to move on. Misa had a good time running around playing with the other dogs, even though one grumpy old dog in front of the hotel tried to attack him every time we went past. 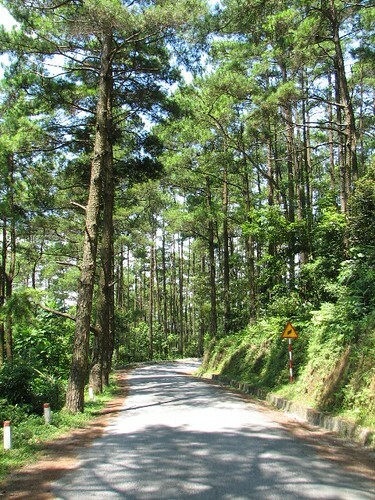 The best time to go to Tam Dao is during the week when there are not many tourists and you will have a peaceful time. Looking at this man doing his service reminds me about 15 years ago when I got my first ID card. I had to go to a special shop to have the card laminated. The people who made my ID cover used a Coal Iron which was also used for ironing clothes. It seems weird now but it was the only thing that could be used at time. 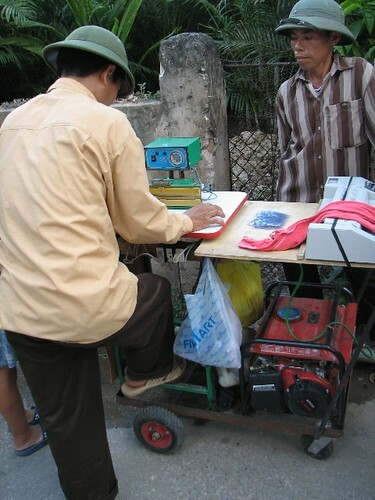 Nowadays, people use an electric laminating machine to do this business and, of course, the price has increased. 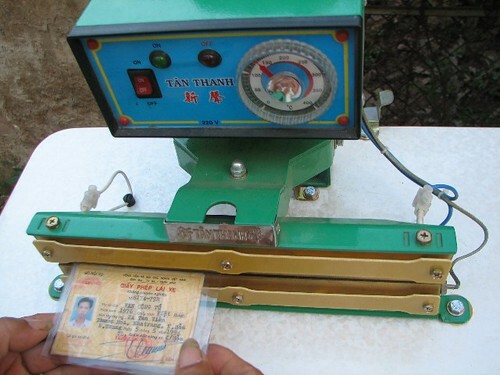 The other day, I paid 5000Vnd to have my drivers licence laminated by machine while I think I paid 500Vnd for the same thing 15 years ago. Hoang and Minh, the men doing this business told me that they have to walk around the city, about 40 kms a day, from the morning until 8pm or 9 Pm and this earns them about 50,000Vnd. This actually isn't a bad income but considering the time and the distance that they have to walk throughout the day, it seems hard work. What do you think about this business? Is there any similar business like this in your country? I'd heard heaps about Bach Dang ice cream before but this was the first time I tried it. I don't really know how many branches of Bach Dang ice cream are in Saigon but I think the ice cream at the shop I ate at was really good. 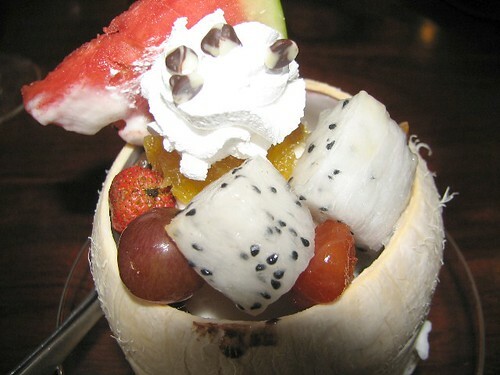 I chose my favorite, coconut ice-cream in a coconut with dragon fruit, grapes, some sweets and some chocolate ice cream. 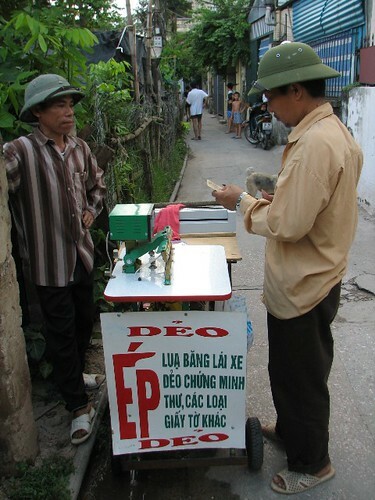 Yum, I always loved this kind when I was a young boy in Nha Trang where the ice-cream is the best but I have to admit Bach Dang ice cream is of the same quality. There are lots of different kinds of ice cream and juices which are available here and it's not very expensive. 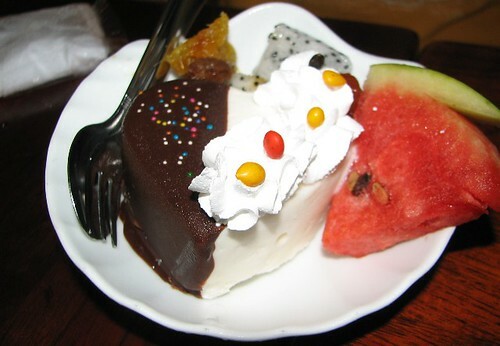 They also decorate the cream with many shapes like hearts, flowers, baby faces ... and fruit decorations as well. This is a good place worth coming to for a cool down with friends, where the second floor is air conditioned and the ground floor has water fans. I am not much of a Thai food fan, but my friends took me to an amazing Thai restaurant which is in a small alley in Saigon. The restaurant is not big but it is very nicely decorated. We sat on the top floor which meant I had to force my lazy feet up to the third floor on a small metal staircase. 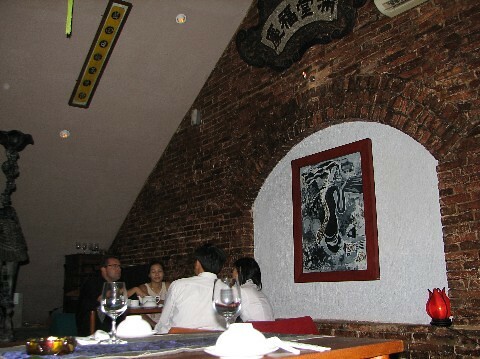 It was a big surprise, a small area with low tables and so laid back like Japanese style. 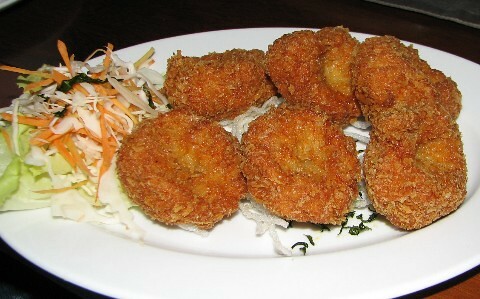 I am not a fish fan either but I did love their cat fish salad, the fried shrimp patties also. 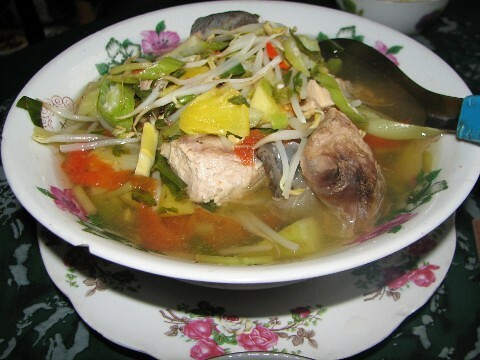 The dish I can't forget is the Thai style soup with beancurd. It was simple and delicious. 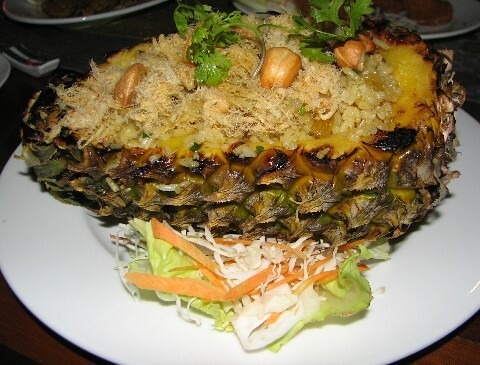 The pineapple fried rice was impressive looking, served nicely in a pineapple. Lac Thai is not a really pricey place. It deserves its small following and perhaps the owner needs to spend some income on advertising to attract more customers. Highly recommended. Took my friends from Saigon to Ha Dong on a hot day for a shopping tour. Ha Dong is a very peaceful village with lots of small lanes and silk shops. 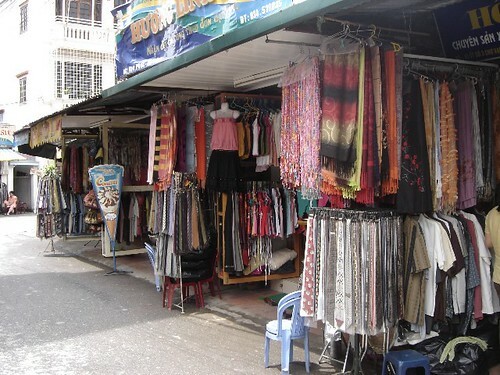 People seem quite soft and friendly, and their silk and produce from silk is also not very expensive. 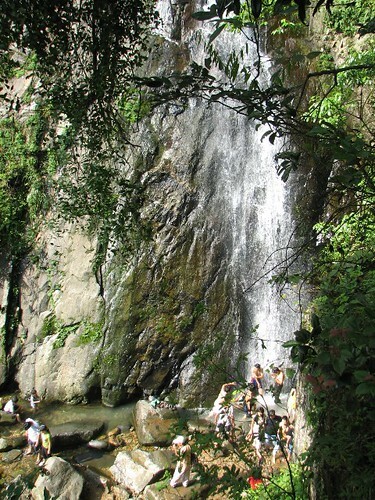 Nowadays, Ha Dong is getting busier and busier because of the number of tourists coming for shopping and looking for a relaxing time in a peaceful village. Silk shops have opened for trade and are giving the local people more work to do and higher incomes. You can see a variety of silk products suitable for men, women and kids. Ha Dong is a traditonal silk trade village that still retains lots of small silk factories and houses which make silk stuff. They also have some show rooms for tourists to come and see the different types of silk and silk worms of different colors. 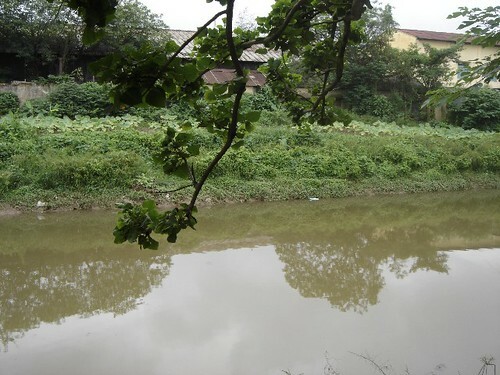 This is an amazing place that's good for a one day tour and it's not too far away from the centre of Hanoi, only 15 mins by car or motorbike and the transportation fare is cheap and easily found. Hope you guys have a great day sightseeing and shopping. 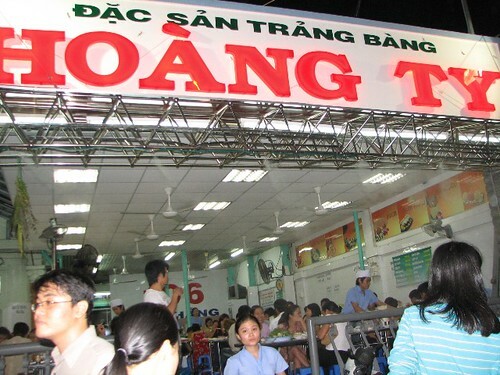 My sister and her friends took me to this place and I was confused about the name because on the sign it said Trang Bang and I don't know what Trang Bang actually is. 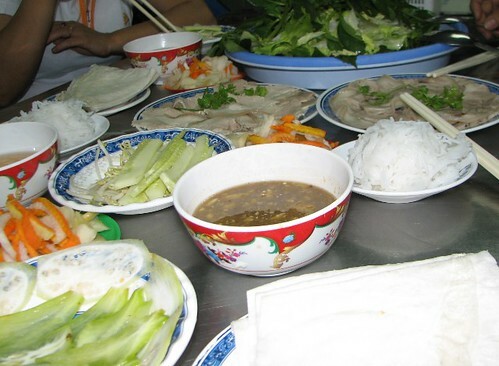 At this very busy local restaurant they serve a variety of food but by the way people were ordering, I reckon steamed snake head fish rolled in rice paper with over 10 different veggies is the most popular dish here. 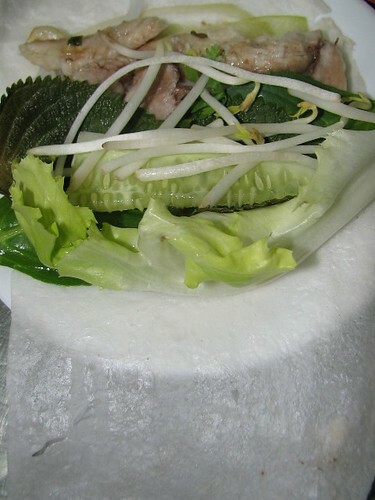 They also serve a special long round noodle with pork or pigs feet or normal noodles with Thac Lac fish. The food was good but as usual with local restaurants the atmosphere was really noisy. 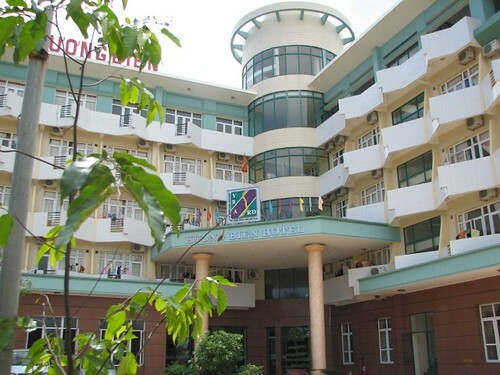 I think it was worse than usual because it was June 1st, which is Childrens' Day in Vietnam. Lots of screaming kids running around. 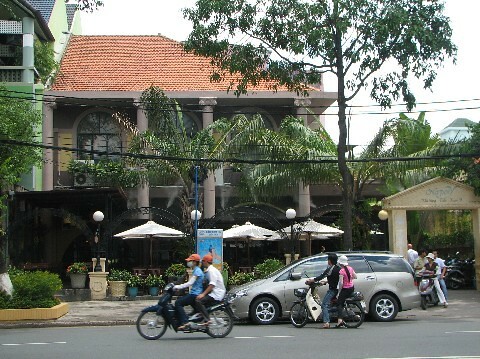 Coffee shops in Ho Chi Minh City are very big and all look expensive due to the huge competition down there. Cafes try to outdo each other with decor to attract customers. The owners think that if they don't have the best shop then nobody will come. 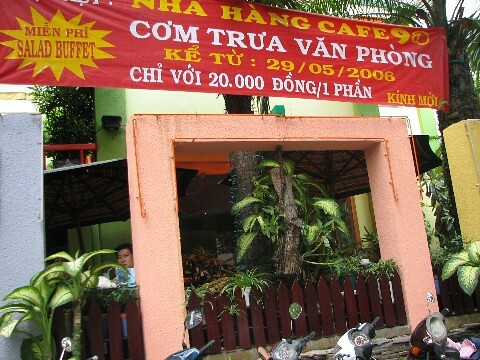 In Viet Nam, people eat quite fast in restaurants or at home but they spend hours in coffee shops chatting with friends. Saigonese not only drink coffee when they go to coffee shop, though. They have plenty of options to choose from, including mixed juices, heavy liquor and cocktails. Some places make really good cocktails and some places make good juices. I can’t drink coffee a lot so that I usually choose fresh passion fruit or lemon juice. In Saigon recently, I drank lots of coconut juice because the naturally sweet coconuts don't seem to be available in Hanoi and they cost triple the price. I love to simply drive around and stop at a coconut stall right on the street, ask for a cold one and drink it 100% in one go, and keep driving. Such a good summer drink. 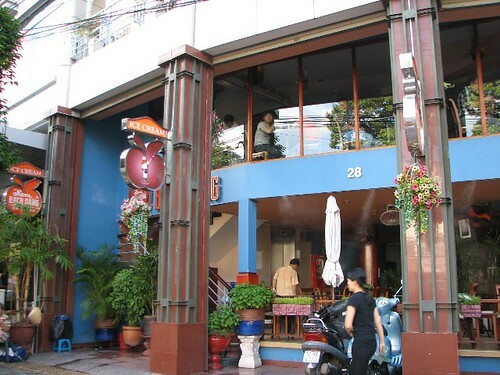 @ Cafe, Napoli cafe, MTV cafe, Highland cafe… are the most popular in Saigon at the moment. They’re all in good locations and beautifully fitted. Some of these cafes also serve good value office lunches. Whenever I come down to Saigon, I always enjoy eating whatever my sister, Hang, cooks. She cooks very well and she knows what I love. While I was there recently, she spoilt me. So many times, Hang made a quick visit to the market near her home, and thirty minutes later I'd have one of my favourites in front of me. 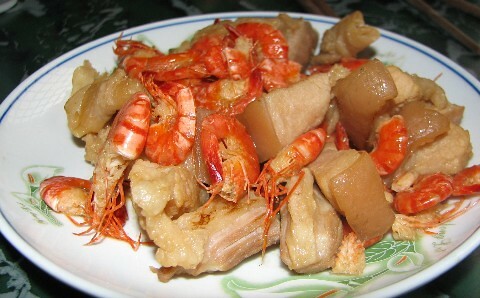 Some of her best dishes are sweet and sour broth with Bong Lau fish, stir fried prawns with pork, steamed mixed vegetables and some eggplants. Sometimes she makes really good beef steak to eat with rice instead of French fries and salad. She varies what she cooks very often, which impresses a lot because I can eat something delicious and different almost daily. My sister and I both love tennis and we play every night whenever I come down to Saigon. I join her club to play doubles which gives me a good chance to practice my doubles skills. Usually I only play singles in Hanoi. Spending time with Hang was good fun as always. 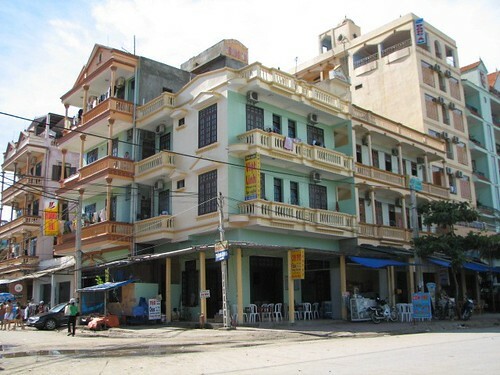 I love Ho Chi Minh City and I'm thinking about moving down here to live at the end of this year. Let’s see. 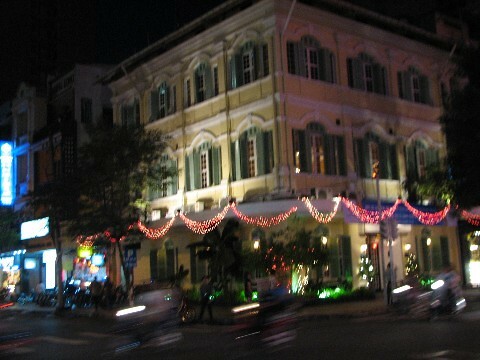 Viet Nam House is a very nice restaurant located in the most expensive location in Saigon, Dong Khoi Street. But you will be surprised because the food is excellent it's not expensive at all. Live traditional music is on almost every night,which creates quite a nice atmosphere. The staff are great. I love to see people smiling when they work. While looking at the menu, I got recommendations from the staff and they were all good. 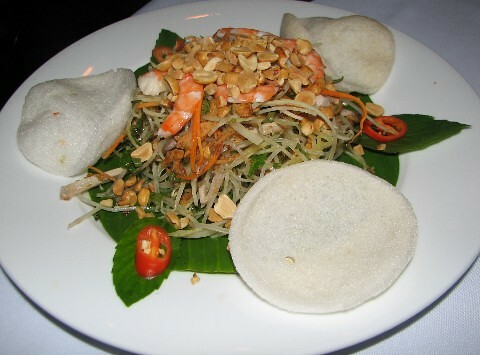 the Papaya salad with pork and prawns was a great starter, fresh and tangy. The Grilled beef in La Lot leaves and stir fried mixed vegetables with tofu and mushrooms were also knowledgeable choices for my main course. 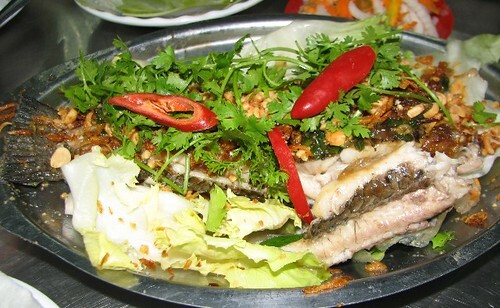 I think the fish in clay pot had an amazing rich sauce but the fish was a bit over cooked. 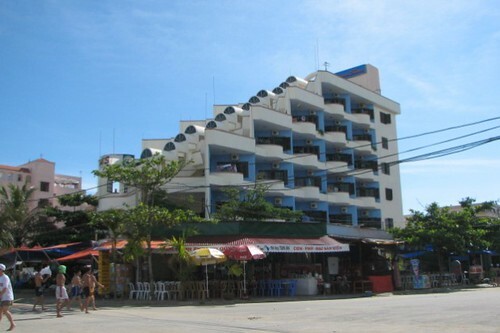 The architecture in this sea side resort town, Sam Son, is a bit hard for me to describe. 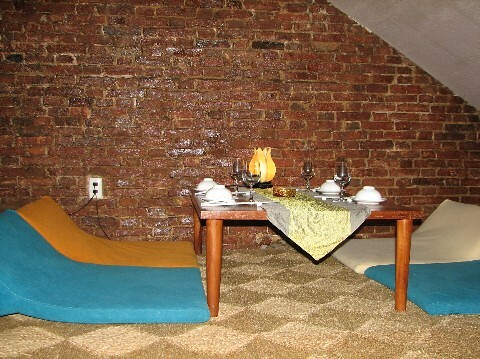 The styles are all over the place with some influence from the French and a lot of modern hotels wich are a bit ugly. Hotels and government company buildings are built not following any specific design and some of the color combinations are awful. I was surprised that there were so many hotels and guest houses in such a small area and not much thought about planning. I think some of these buildings follow the Soviet style and have been there for years and it's interesting to know that some people still prefer that style instead of new modern tall buildings. 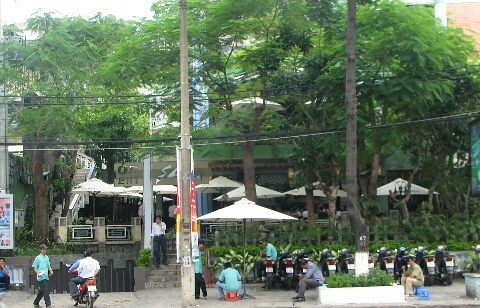 If you go past in the day time, you wouldn't recognise Lush bar, one of the nicest bars in Saigon. Simply decorated and nicely lit, Lush has a cool feeling and great music. I say this because I was there twice with my friends while I was down south recently. 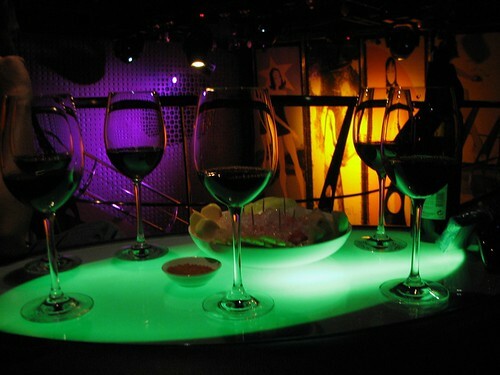 I was impressed by the staff, the drinks and the price - not expensive at all, compared to other bars in Saigon but you will get the same quality of drink, maybe higher service quality and a better atmosphere. You can choose a seat inside both down or upstairs with air conditioning or outside with a fan. Another pleasant thing about this place was the lack of prostitutes hanging around. I was surprised. Maybe I just wasn't looking hard enough. I was woken up at 4Am in the morning when everything was still dark and quiet. It took me about 10 mintues to get from home to my work place by taxi where all my colleagues were waiting. We left Hanoi at 5.15 Am and we spent about 4 hours on a big bus to get to Sam Son beach in Thanh Hoa province. Everyone seemed very excited to be having a short break from work where they have to work hard everyday, serving hundreds of people who come to enjoy Vietnamese food. 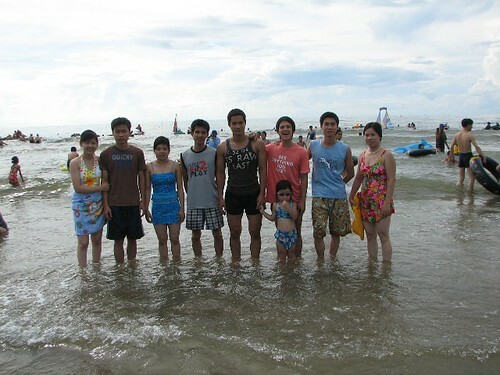 We all went to the beach after lunch and hanged out for a few hours, swimming and playing football together. 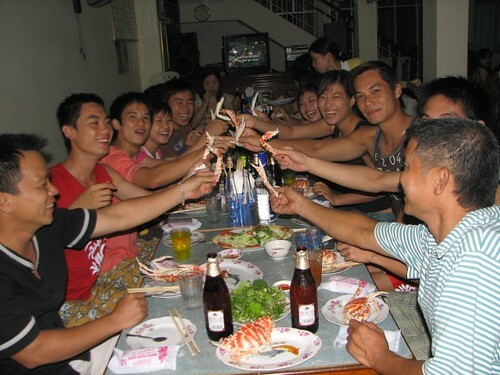 Our meals were great, with lots of seafood such as crab, squid, prawns and fish every day. I gave a compliment to the chef because we all enjoyed the food so much that we ordered extra seafood during all of our meals. Everything seems quite cheap here in Thanh Hoa. 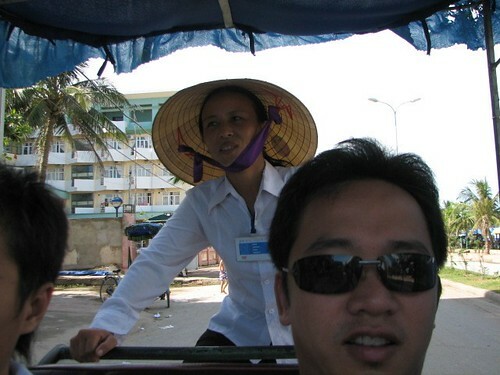 I took a xich lo tour for 30 minutes for just 15,000Vnd (1USD) and the driver was a woman. She works in the afternoon and her husband works in the morning and evening. 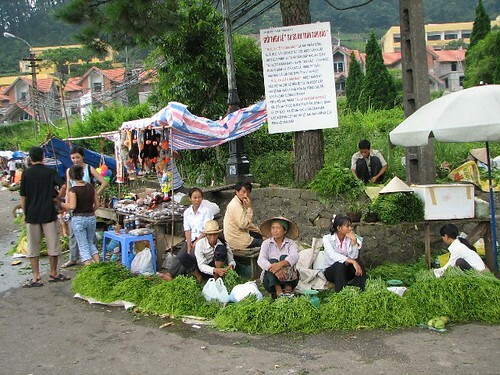 They earn about 100,000Vnd per day which is good but this is pretty hard work for a woman. 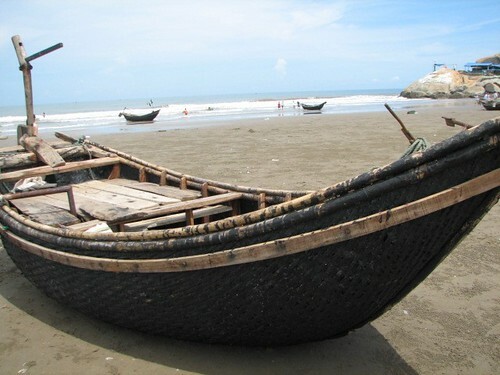 The xich lo is a popular form of transportation in this area where most tourists come for a weekend or a few days in the summer. The beach is clean and full of people for the whole day. I wouldn't call the beach beautiful but it is acceptable for swimming, and for sunbathing. The local people seem very friendly here and they also try their best to sell their stuff by following tourists for hours. 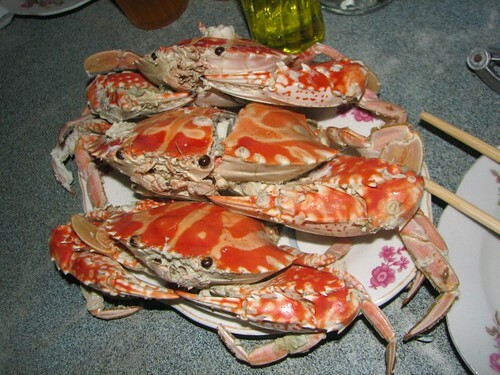 the most common street businesses are selling dry squid and live crabs and Cay cakes. The most annoying thing was the people selling things along the beach in the evening. Everytime we bought something, we were cheated. My colleagues went back to their store to complain but they said to us, that's the way it is and they didn't care about that. I bought a flashing light ball for my dog Misa. It worked at the shop but 10 minutes later, it was not working. On the way back to the hotel, I saw a police man and I told him about that but he said nothing. He just smiled and some other girls working as street police said to us "that's the way the street business is here and many people have complained about that before but we can't change it. Why didn't you go to the real shops in the city?" What can you do? Anyway, been there, done that. We did have a good time together, time to get to know the other staff and about another place which is good.